What exactly does a birth doula provide? You can give birth every way, when you give birth with CONFIDENCE. Doulas of Central Pennsylvania provide an exceptional service and are the best thing you will buy for this pregnancy. We aren’t the only ones that think so. Some well-known organizations that praise doula support are the American Congress of Obstetricians and Gynecologists, the Journal of Obstetric, Gynecologic and Neonatal Nursing, and the Association of Women’s Health, Obstetric and Neonatal Nurses. Doulas benefit anyone no matter how or where they choose to give birth. PROFESSIONAL DOULAS ARE AN INVESTMENT IN YOUR FAMILY AND PROVIDE INCREDIBLE TANGIBLE SUPPORT. 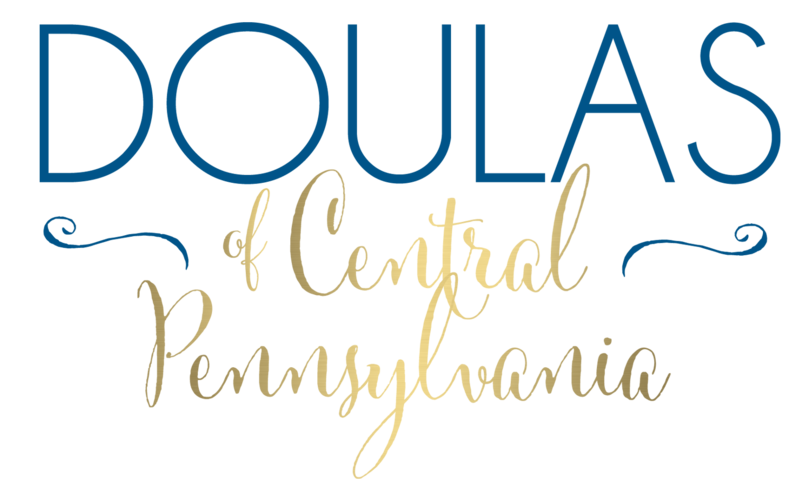 At Doulas of Cental PA, you and your experience are our priority. The birth of a baby is one of the most memorable and rewarding experiences of a person’s entire life. We take our profession seriously, and have undergone extensive training and continuing education to responsibly be an essential resource to you. We help increase your satisfaction with your own unique birth experience regardless of how you give birth. We support our clients’ choices, and never have any agenda of our own. We trust you, your partner, and your choices to be the best for you. Be cared for by a doula that respects you, your partner, your provider and your birth! When you hire Doulas of Central Pennsylvania, you receive our best care possible and unlike anything else in the area. Doulas of Central Pennsylvania uniquely provides you with two doulas throughout your entire pregnancy. Twice the expertise, twice the compassion, twice the professionalism. You never have to worry about a back-up doula. The question of who will be at your birth is settled. We are immediately on call for you and are available to serve you from the minute you hire us. We don’t wait until 36-38 weeks to give you our focus. We fill the care gap in modern birth and postpartum practices by being a consistent, continuous source of encouragement, emotional support, and a listening ear for you and your birth team. We will drop everything and stand by your side when you call us. We stay with you while you bring your baby into the world, providing a calming reassurance, all while being your own personal expert in emotional and physical support in childbirth.